Sharp cheddar, flavorful ale and a pork product: three ingredients that bring joy to the hearts of many individually and when combined are simply sublime. Browsing around Pinterest a few months ago, I came across this delicious sounding soup from Closet Cooking. Of course, I had to wait till the weather cooled to try it out a couple times, and it’s every bit as good as it sounds. As always, I made a few adjustments to suit my tastes (and hopefully yours). 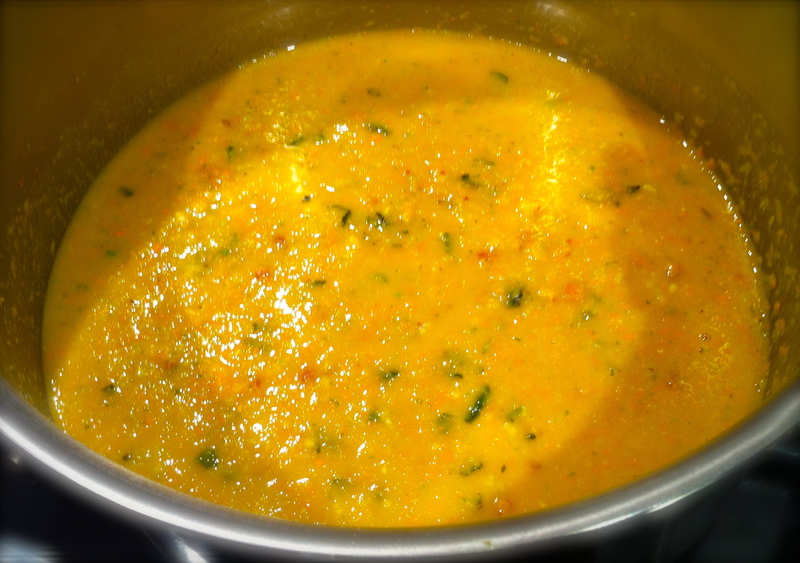 This can be kept thick for a game day dip or thinned out for a more traditional soup. You definitely will taste the ale, so use something that you like with a nice body. Try a brown ale or one of the many spiced seasonal brews out there for the holidays. You can also play around with the cheeses. I used a mixture of sharp cheddar and some “Seriously Sharp” white cheddar from Cabot. You really can’t go wrong here. But it’s quite rich, so keep that in mind with who you’re serving this to and what you may want to accompany it. Definitely have some freshly baked bread on hand for dipping. Or if you want to get fancy, serve it in a bread bowl. 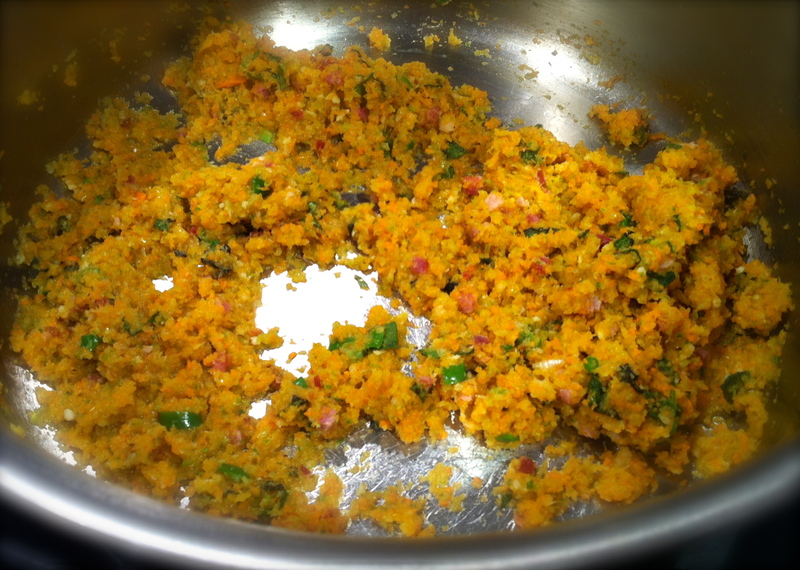 In large saucepan over medium heat, saute it with the leek either in bacon fat or with pancetta for 4 minutes. (I like to cook with the pancetta and add bacon on top later.) 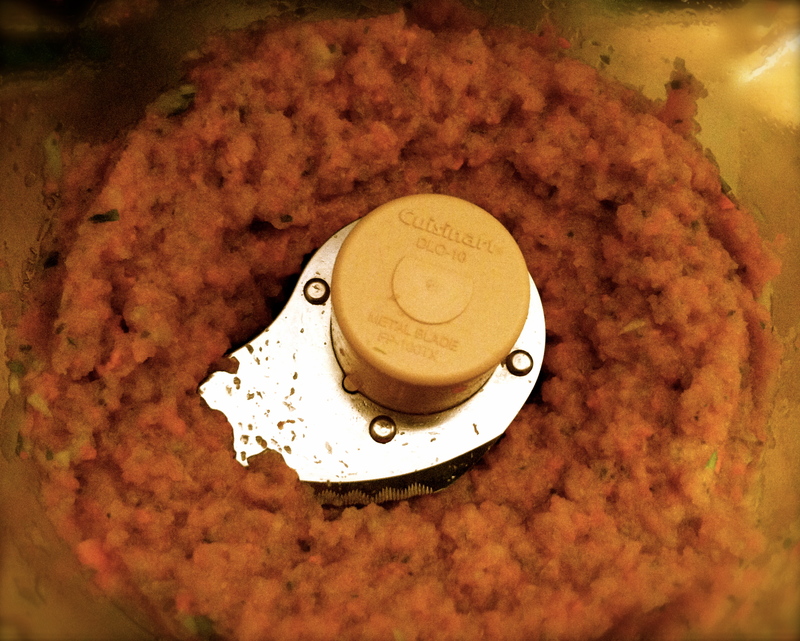 Add onions, celery and carrot mixture. Saute for 3 minutes. Add 1 and 1/2 jalapenos for a little heat, garlic and thyme. Saute for 2 minutes. Add butter until it melts. Then stir in flour until blended. Gradually add ale and then broth, stirring to mix thoroughly. Cook for about 10 minutes. Then stir in the mustard, cream and worcestershire. Gradually add in the cheese until melted through and smooth. Keep heat constant but do not let it boil (or cheese will separate). Season with salt, pepper and a few dashes of cayenne to taste. 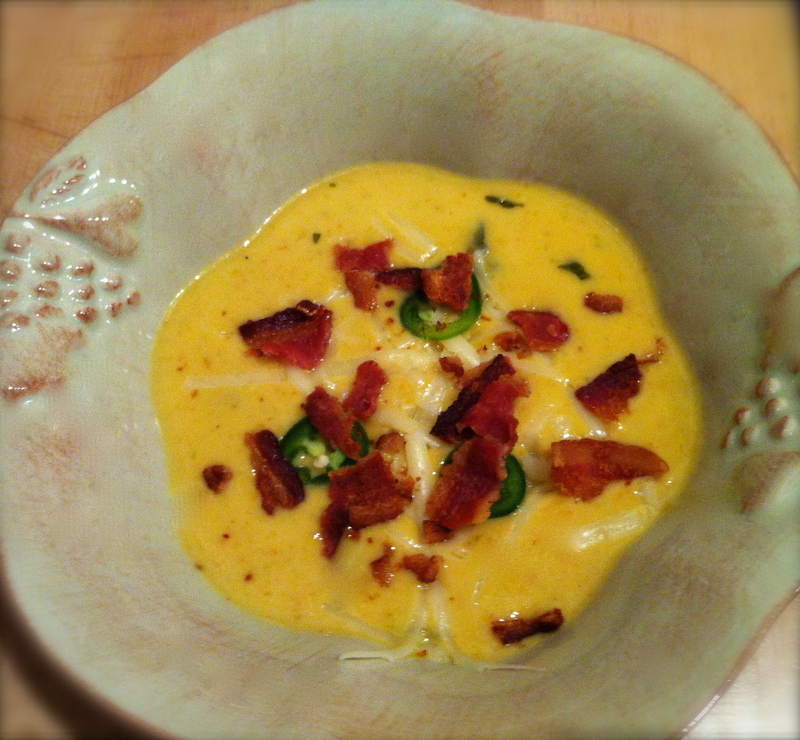 Top with some crumbled bacon and jalapenos, if desired. Serve with the beer you used for cooking and a loaf of fresh bread, preferably a rosemary sourdough round if you can find it. Yum! Your soup sounds terrific for the cool weather. 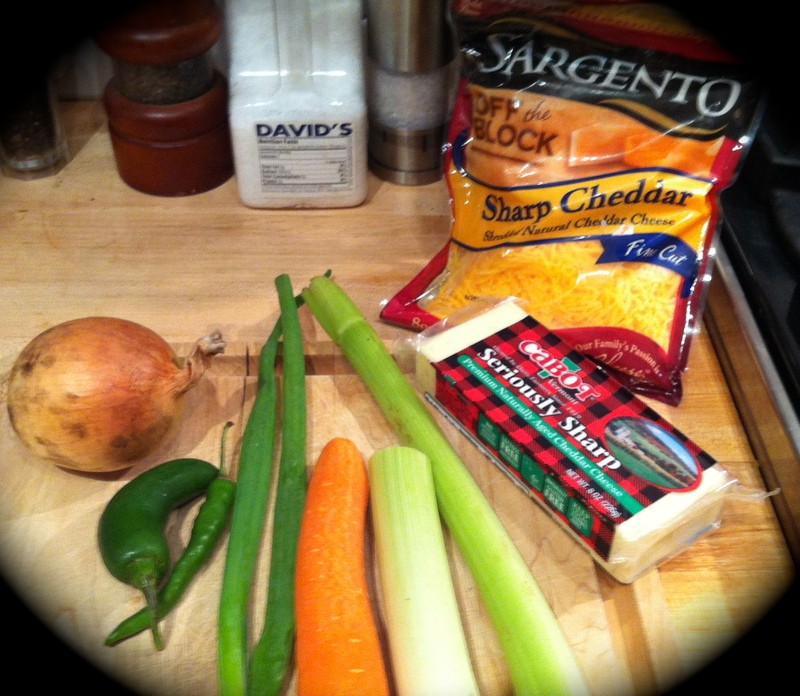 I like the seriously sharp cheddar that Cabot makes and use it quite often…it would be perfect in this dish. Thanks! The Cabot cheese is quite good. Hope you enjoy it!